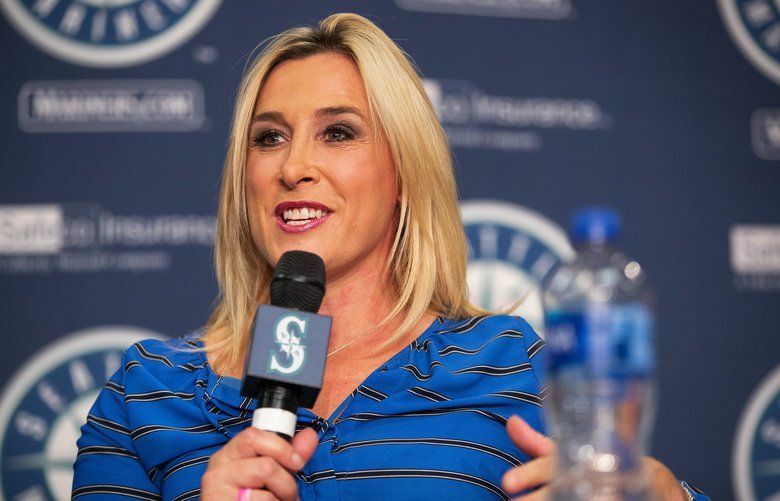 ROOT Sports Mariners broadcaster Angie Mentink has passed the six-month clean checkup after her diagnosis of breast cancer and says her eternal optimism and focusing on what is important keep her going. On Tuesday, Angie Mentink sat on a “Women in Baseball” panel at Safeco Field, offering insight, inspiration and humor as she discussed her 21-year career covering the Mariners for ROOT Sports. Those affirmations flowed easily from Mentink, who said later with a smile that she welcomes a change from the topic that dominated her life for much of the last year. Mentink and the rest of the panel – Mariners area scout Amanda Hopkins, Mariners coordinator of professional development Leslie Manning, and Mariners senior vice president of sales Frances Traisman – told of how they persevered to forge their way in a male-dominated domain. It was the second year for the well-attended and enthusiastically received forum, moderated by baseball writer Meg Rowley. Mentink has the added perspective of being a breast cancer survivor, a moniker that became official when her six-month tests came back clean. “I really should update my Twitter,’’ she said wryly. Mentink, at age 44, had gone in for what she thought was a routine mammogram. It was far from routine, as a series of further tests and a biopsy soon revealed. She was in the shower, with her phone stationed on the windowsill, when the fateful call came. She describes drying off her ear to receive the surreal news, and then thinking they must have the wrong person. Her husband, Jarrett, a professor at Seattle Pacific University, tried to comfort her. Mentink describes Jarrett alternately as a “saint,” a “doll,” an “absolute champ” and “my rock” – a noted hypochondriac who embraced the role reversal. Surgery occurred on Oct. 5 – her mother’s 70th birthday. Radiation ended in mid-December, which the family commemorated with a 10-day trip to Hawaii despite Angie being, in her words, “burnt to a crisp” from the treatment. Mentink’s positive attitude and the humor she projected throughout the ordeal has been noble, though she readily admits that her private moments were not always nearly so upbeat. The outpouring of support from the Mariners, co-workers, colleagues and fans overwhelmed her, she said. 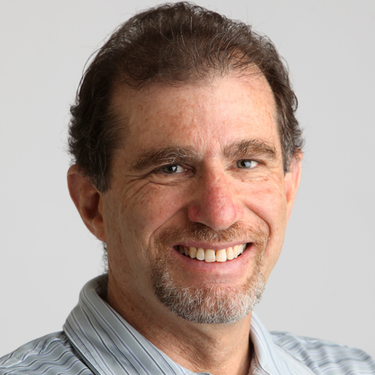 Her boss, ROOT Sports executive producer, Jon Bradford, was particularly supportive. Two things sustained her, Mentink believes. One was her eternal optimism, which has always been part of nature. The other factor was that the illness honed her sense of what was really important in her life. Mentink says that her cancer is “the best cancer” to get because it is slow growing. But that has a downside as well, in that she has to take medicine for several more years. Right now she is on an estrogen blocker that helps keep the cancer cells at bay. The first major hurdle passed was the clean six-month checkup. But Mentink is reveling in the fact that life is full of joy, too – particularly when you’ve been forced to ponder your mortality. Returning to the Mariners beat this season, she savors the normalcy of baseball’s routines – the “steady drumbeat,’’ as she calls it, a comfort after the maelstrom of 2017. The fact that the Mariners have contended all year with a group of players she genuinely enjoys being around has added to her fulfillment. She has also become an advocate for early detection of breast cancer.